Any mountain biker should know the names, Dave Turner and Dave Weagle. DT is known for founding Turner bikes in the 90’s, after a professional racing career that spanned 5 years. Turner Bikes have been known for some time for quality built frames, attention to detail and fantastic customer service. 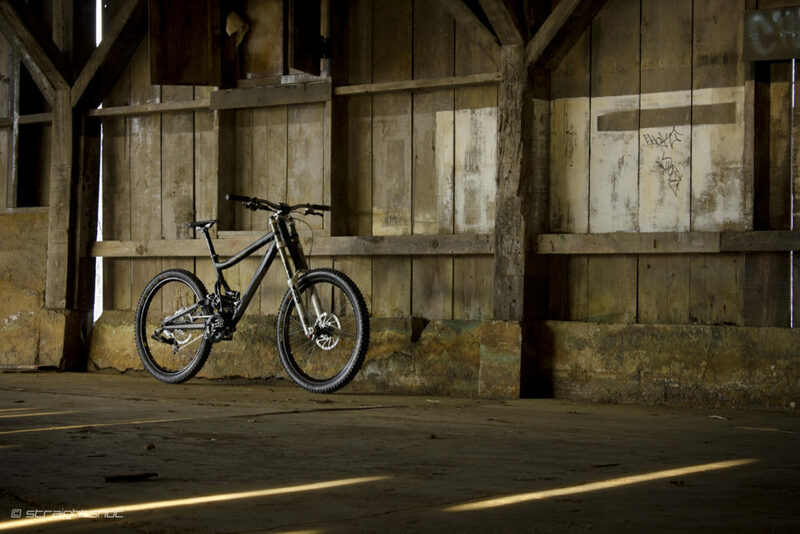 The bikes are built to last, through forward thinking designs and sturdy construction. It’s not uncommon for Turner to receive older frames back at the warehouse for a repaint and a spruce up (3–5 per month! ), which is also part of their service model—a process that in itself is quite time consuming, but something that Turner stands by. 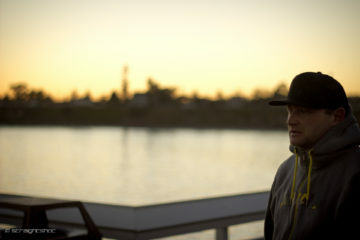 Dave Weagle is most well known for his DW-Link design. A design that arguably pushed the progression of suspension within the mountain bike industry and was made a household name among downhillers with Sam HIll aboard the Iron Horse Sunday. 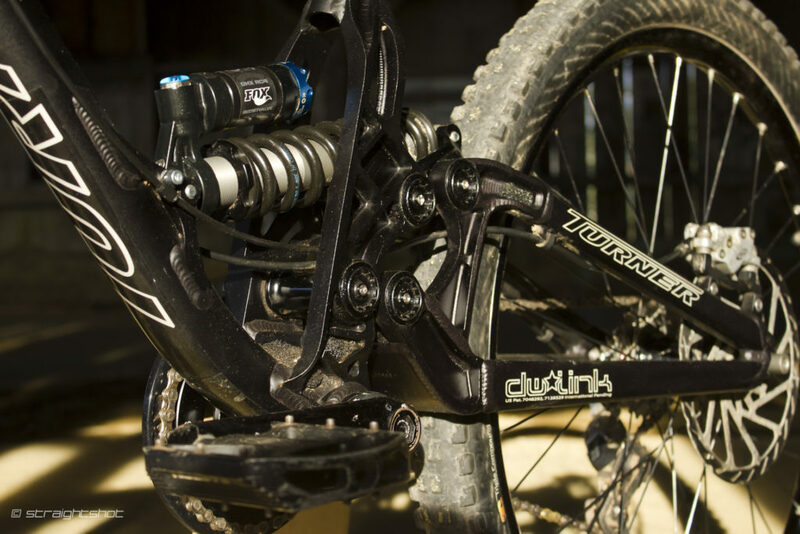 Dave has also created other progressive suspension designs, such as the Split Pivot and Delta System, but the DW-Link lives on, with selected manufacturers licensing the system for their bikes. Turner Bikes is one of these manufacturers, and when DT and DW really got to know each other in early 2006, it wasn’t long before the two realized they had similar principles, opting to work together on future projects. Possibly one of the most exciting of these projects was for the already popular DHR. 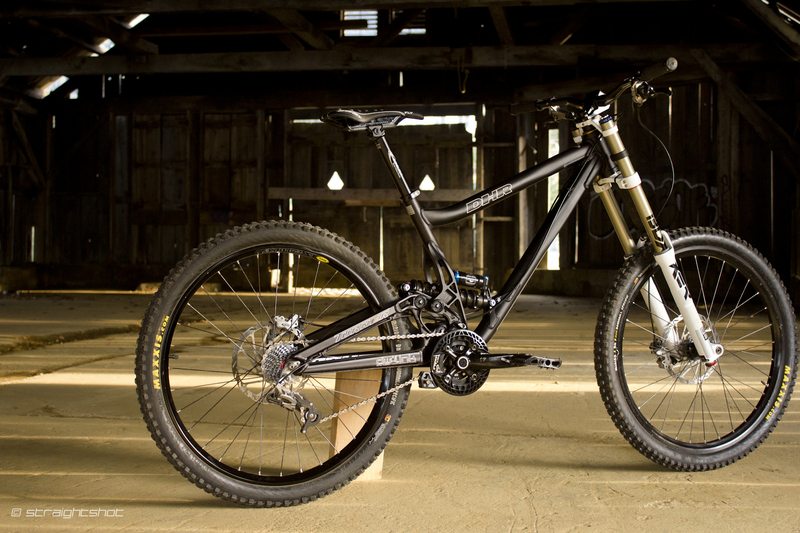 We got together with DT and DW recently to get the down low on this weapon of a bike, and the process for the redesign. (DT) When yourself and DW first met up in Phoenix, had a redesign of the DHR already been on your mind? TURNER: I cannot remember if the DHR was on my mind specifically but I am always thinking of ways to improve the lineup. (DT) Why go from the very popular, older DHR suspension, to a virtual pivot suspension design? 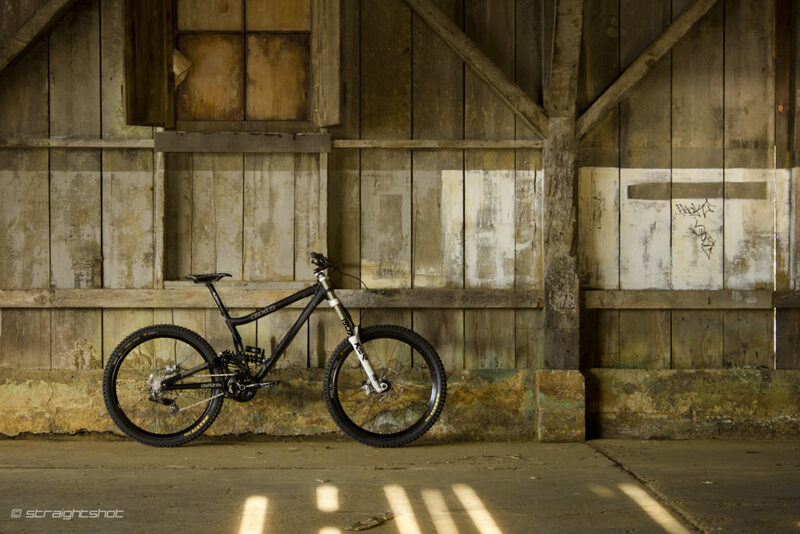 TURNER: For me it was about making a faster DH bike, pure and simple—racing downhill is all about speed. With the DW-Link the bike accelerates so much snappier that it demands one to feed it more power and down the mountain it goes, with the rider putting more in and the bike responding positively. (DT) How did yourself & DW approach the design of the DHR? Did you discuss what you wanted to create and DW assisted in reaching that goal, or was it a mutual agreement on the style and handling the bike should contain? TURNER: It seemed that the discussions went on forever. Obviously the predecessor to this DHR was the ‘round tube’ and quite a good handler, so in my mind I had a baseline of what I wanted, and DW had the Sunday as a frame of reference—those are a couple of the best downhill bikes available in the world at the time. I think that both our goals were to exceed what we had done in the past and in the case of this DHR we did. (DT) What elements of the DHR did you really want to improve upon? Were there any new attributes that you wanted to add to the frame or that were considered must haves? TURNER: Acceleration, as good as the round tube DHR was for a ‘neutral’ single pivot, it still could not hold a candle to a DW-Link in keeping the bike from squatting notably in hard pedalling that is required in most turn exits. Were there elements of the design process that each of you were more responsible for? How did you reach an agreement on these responsibilities? TURNER: All the projects DW and I work on start out the same, I provide a detailed geometry, features and intended use matrix. DW then quizzes me heavily to interpret the ‘features and intended use’ part! After that he creates the suspension kinematics that make a DW-Link a DW-Link. Along the way there are more conversations about each aspect and how it affects the bike and/or rider. WEAGLE: David (Turner) and I spoke a lot about the different parts of the design during the process. Coming into the project, I had a good idea of what I wanted the bike to look like. I had learned quite a bit through my years with Iron Horse on the World Cup circuit, and I knew that I could achieve my goals with the, at the time, unseen horizontal shock layout. Because using the DW-Link allowed us to use much more aggressive geometry than usual, we spent a good deal of time thinking about how far we could push geometry to help World Cup guys go faster, while at the same time having the bike be comfortable and confidence inspiring for amateurs. The main part of my job revolved around kinematics, mainly translating to suspension feel, and how suspension and geometry interacted. I also got the opportunity to work with David’s engineer on the structure of the bike because of my experience with forged cage style designs (think Iron Horse Sunday). The ride characteristics of the previous DHR must have been an important attribute to keep with the new design, given the frames popularity for this alone. Was it difficult to keep this with a completely different suspension platform? TURNER: In the case of the new DHR I wanted it to have the shock in roughly the same location as the old DHR to keep weight low and rearward, and on this design Dave (Weagle) was able to get the shock even further back than the old bike. Keeping the older bikes handling with a totally new platform was not that hard, it just took a lot of time to wrap my head around the new possibilities. The DW-Link is not like a single pivot bike and that required new thinking. Even the Horst link does not resist pedalling induced squat so learning what was possible was the challenge. WEAGLE: My goals were to really combine the best attributes of the DW-Link Sunday with the DHR. I wanted to retain the acceleration performance, small bump sensitivity, and cornering performance of the Sunday, and add in the DHR’s increased travel, end travel support, and its ability to use higher spring rates. I didn’t really find it too difficult to achieve those goals, because there is so much design latitude within the DW-Link design. 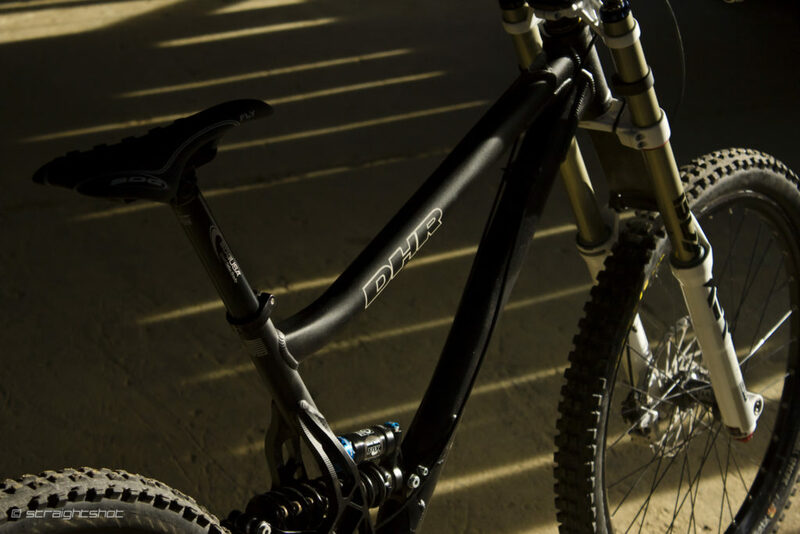 The DHR’s geometry is aggressive and pushed the low and slack movement of DH bikes further. Was this something that you saw as necessary, or did the suspension design alone make this sort of geometry possible, functionality wise? TURNER: To me it was necessary, and yes the suspension made it possible with great results. I am sure other designs have as low or lower BB’s, but when pedalled their dynamic geometry will result in almost un-pedalable designs, with the bike squatting down and allowing the crank to hit the ground. As far as whether it is necessary to be so aggressive; yes, I thought so and until the UCI or some other governing body stops the development of race bikes we need to keep pushing the limit of what defines a DH bike. WEAGLE: At the time (of development) the Sunday was still one of the lowest and slackest bikes on the market, and I knew that if I sharpened my pencil on anti-squat and leverage ratio, I could push that further without consequence. As many other brands have found out, most other designs trying to run geometry as low and slack as we have the DHR, result in an almost unusable bike when you try to pedal. (DW) The last major movement in aggressive geometry was from the Sunday, which is another of your designs, is this a trend developing or simply a coincidence? WEAGLE: The fine-tuning of the suspension is what really has allowed me to push frame geometry so far with each design. You can’t have one without the other. It’s easy to just make the bottom bracket low or something like that, but if the chassis isn’t balanced and the suspension blows through its travel, then the bike will probably ride worse with that change. The DW-Link design and the anti-squat performance that the patents cover really made those geometry shifts possible. (DW) How challenging is it to create suspension designs that heed to certain characteristics frame manufacturers, like Dave Turner, are known (or looking) for in a new frame. WEAGLE: It’s challenging, but I thrive on that challenge. One of my favourite parts of collaborating with David (Turner) is that we have very similar tastes and thoughts about how a bike should feel. We spend a lot of time talking together about suspension feel and geometry before we start a new project. (DW) How much input into the appearance of the DHR did you get? Was this an attribute that yourself and DT shared in the DHR’s development? WEAGLE: I’m involved at some level in the appearance of all the bikes that I work on, but in the case of the DHR, the horizontal shock layout really forced us into some design elements. I was more involved in the aesthetics of the first prototypes, than the aesthetics of the production version. I really like how it turned out. Fashion and function. Was one more important than the other when designing the DHR? How important were the aesthetics of the frame? TURNER: Function first, every time. My engineer spent a great deal of time running FEA (Finite Element Analysis) to make sure we had a good product, all those features in the cage that the shock is in, were defined by the loads going through them. TURNER: 1. Handling is #1. Without good handling a rider is not going to want to go faster! 2. 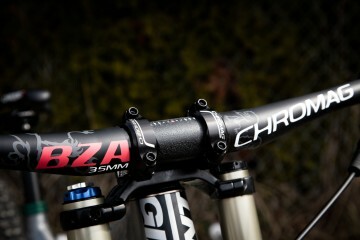 Strength; there are more ‘old’ DHRs in lift lines than any other brand of DH bike, there is a reason why. When you consider how few a little company like Turner Bikes produced in the last decade, that statistic gets quite surprising. 3. Weight; the weight will drop when the strength goals are met. We have never been the lightest on the market though, reason being element #2. WEAGLE: Suspension performance (cornering traction, rider confidence, etc. ), geometry & fit, and weight—In that order. 1. Most rewarding part of the design process for the DHR? TURNER: Feedback, x 5. When riders of all shapes and speed get off protos babbling it is a good feeling. WEAGLE: Riding the bike during testing, and getting to work with and tune one of the first RC4 shocks outside of Fox. Rule. TURNER: It pops out of turns. The frame is so laterally stiff and this allows one to hold a higher line than most bikes that squirm off the intended line and down into the sheep rut. So combine the extra speed of a more direct line and then stomp on the pedals and it just pops out of a turn and rips toward the next. WEAGLE: I like the horizontal shock layout DW-Link, it was something that I had been wanting to try for some time before we implemented it on the DHR. 3. Is there one thing you would like to have seen different on the DHR? TURNER: I would like to “see” a WC win by one! But hey, with the major companies owning the fastest stars that ain’t gonna happen. WEAGLE: As a designer, hindsight is always 20-20, and I am by far my own worst critic, but I am really happy with how the DHR came out. It’s lightweight, it’s fast, and it’s a blast to ride. What more do you want? 4. Toughest part of the DHR’s design process? TURNER: Manufacturing challenges mostly. There are so many expensive parts in the bike and so much CNC time it is a b**ch to get the bill for these things. TURNER: Tyler (Moreland) winning the Red Bull 5000 on it! WEAGLE: One day early in testing the first prototype DHR with the then prototype RC4 shock, I was using the data acquisition system to characterize performance. Through one rocky section on a trail that I knew very well, just through shock tuning, I was able to pick up 6 mph over the baseline setting. I found that pretty remarkable! Anyone you’d like to thank, or last words? TURNER: DW for putting up with my constant half a degree adjustments. Tyler, Lars, Christian, Jesse, Ian and the other test riders for the feedback that helped make the bike what it is today. AJ @ Straightshot for taking the time to ride and write about the DHR. 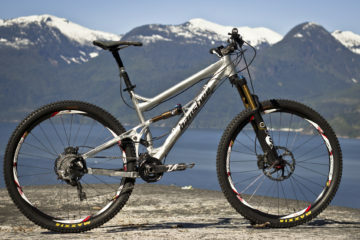 WEAGLE: I’d like to thank DT and Todd Gregory, we spent a lot of time working together on this project, and it has made for one of my favourite downhill bikes ever. Ask any of my riding buddies and they will tell you that I always have my DHR with me when I go to the mountain. The Turner DHR is without a doubt the most enjoyable, solid handling bike I have personally ridden. Everything from the amazing attention to detail, both in the frames construction, (down to the card with the frame stating who built it, when they built it, and initialed throughout it’s inspection) to how well this bike performs on the trail, screams that this was designed by people that not only know what they are doing, but do so exceptionally well. The difference is they actually care about the outcome and future riders enjoyment on the bike, and not just the bottom line. The DHR is a true race machine, incredibly stable at high speeds and through the rough, but don’t let that fool you. It’s suspension characteristics and geometry (despite the static numbers), allow it to be quite playful, entering the ‘freeride’ (I know, there’s that word again… ) side of mountain biking remarkably well. 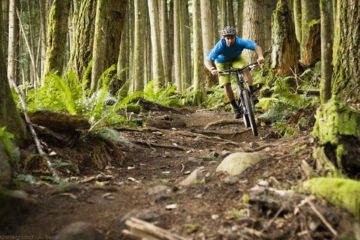 It’s aptly capable of flowing along boosting and popping off everything and anything you desire, as it is putting in a confidence inspiring, winning race run on the roughest of trails. If you get a chance to test one be sure you do, the queue to get a run on it will be worth the wait—10 fold. A huge thankyou to both Dave Weagle and Dave Turner for their key roles in this interview, as well as developing such an amazing DH bike. Visit Turner’s website for more info and the specs on the Turner DW DHR.